Lincolnshire Wolds RDA offers disabled people in our community the chance to experience horse riding and all its befits. Horse riding with RDA delivers physical benefits, boosts confidence, improves communication skills and helps to build relationships. We know our activities support our clients’ education and learning, and that having the opportunity to compete improves confidence in daily life. We currently ride on Tuesday and Wednesday evenings, with sessions running from 5pm onward. 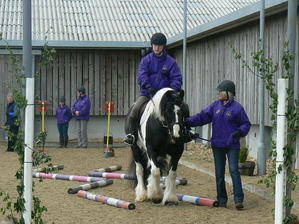 We also hold experience days, pony afternoons and Tigger the intractive riding simulator sessions throughout the year.